This is a new song Ari has written with what I believe is a very important message for our times. Ari Goldwag sent this purely to help people have more of a connection to Hashem through music. The 'promotional' part of this song is promoting spirituality. Please help Ari accomplish his goal by sending this song to as many people as you like and letting him know what you think. 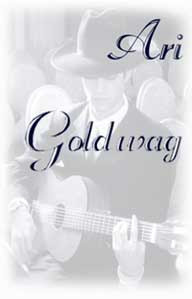 you can download the song at www.arigoldwag.com.